7:24 a.m., Saturday -- I'm calling it at 7:24 a.m. EST, Saturday, Oct. 13. The Big Bird meme is officially dead. 8:00 a.m., Thursday -- Big Bird may have jumped the shark now that the Daily Show is mocking President Obama for overplaying Romney's debate-night comment. Host Jon Stewart lists a slate of Romney statements on other issues that should provide ammo to the Obama campaign, and slams them for picking a light-hearted Sesame Street ad as the focus of their post-debate spin. "You're going with the Big Bird buy, still!?" Stewart asks the president. The fear here is that very real concerns over the fate of public media are being eclipsed by Obama's mishandling of the issue. Perhaps the president should have clearly stated his full support for PBS funding and left it there. (See the Daily Show clip here). 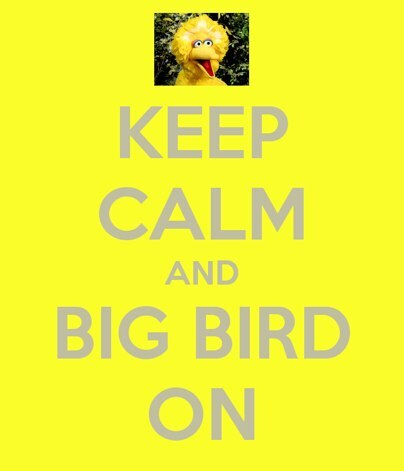 4:00 p.m. -- The Big Bird meme appears to be on the wane, one week since Gov. 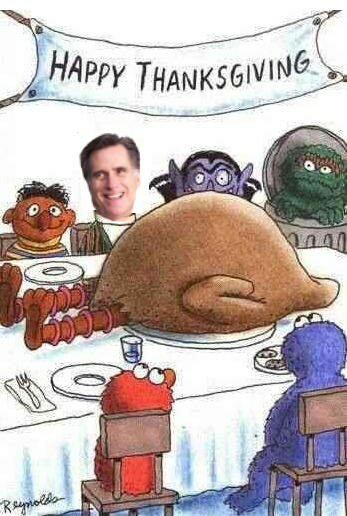 Mitt Romney announced his intention to cut federal funding to PBS, home to Sesame Street. The chart above is just one indicator. It tracks one week of Google News searches on "Big Bird" beginning Wednesday morning, hours after the conclusion of the presidential debates. 11:00 a.m. -- Sesame Street has released a statement urging the Obama campaign to take down a political ad that uses Big Bird to mock Gov. Mitt Romney. "We have approved no campaign ads," the organization said in a release. "As is our general practice, [we] have requested that both campaigns remove Sesame Street characters and trademarks from their campaign materials. 8:45 a.m., Wednesday -- The Obama campaign's decision to use Big Bird for political purposes has its share of detractors, who see the issue as a distraction when Romney is more vulnerable on other fronts.The campaign is airing the political ad, which mocks Romney's stance against funding for PBS, during broadcast and cable comedy programming, according to the Wall Street Journal. 5:00 p.m. -- A recent Washington Times/Zogby Poll finds a clear majority of voters believe that support public broadcasting is a good use of taxpayer money. According to the poll, 55 percent of "likely voters" said PBS “is a worthwhile place to spend taxpayers’ money.” Only 35 percent said “the government cannot afford to subsidize public television.” Even a quarter of voters who plan to vote for Mr. Romney said they would like to see the money keep flowing. 6:30 a.m., Tuesday -- Obama's campaign spared little time in releasing a new political ad that pokes fun at Gov. 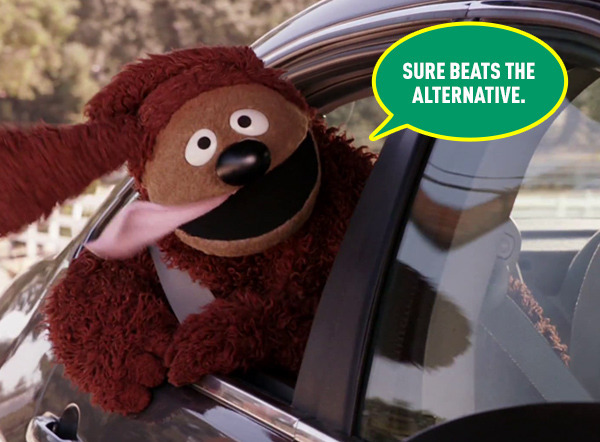 Mitt Romney and his plan to slash all federal funds to PBS. The issue has become a Obama standard on the campaign trail. "For all you moms and kids out there, don't worry, someone is finally cracking down on Big Bird," Obama joked during a stop in Los Angeles. "Elmo, you better make a run for the border." 11:00 a.m., Monday -- Big Bird -- or people dressed like the Sesame Street character -- takes back the streets to protest the latest attack on public broadcasting. A sampling of photos. 11:50 p.m. -- SNL wins the Big Bird booking battle. The eight-foot duck (chicken?) has been hotly pursued for appearances by Jimmy Fallon, Piers Morgan and several others. 11:15 a.m. -- Charles Blow's New York Times column, "Don't Mess with Big Bird" is racing to the top of the news site's "most emailed" and "most viewed" lists. "Let me make it simple for you, Mr. Romney. 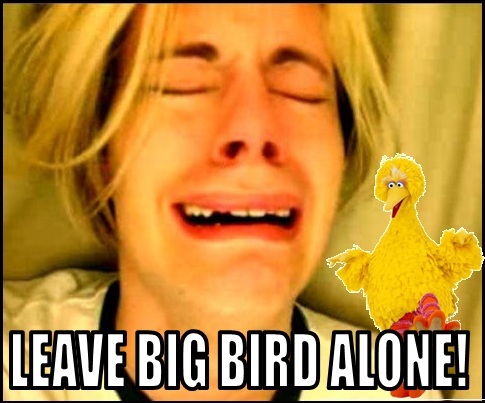 I’m down with Big Bird. You pick on him, you answer to me," Blow writes. From Blow's perspective, Big Bird is a "national treasure," especially for kids who grew up poor with no museums or tutors or after-school educational programs. 8:30 a.m. -- Anti-Romney protesters dressed as Big Bird have flocked to campaign events to mock the GOP candidate, as many speculate that his debate-night comment (which lasted just five seconds) could undermine a rare Romney win over Obama. "The only issue of lasting voter resonance from [the] debate will be Big Bird," writes Deborah White of About.com. 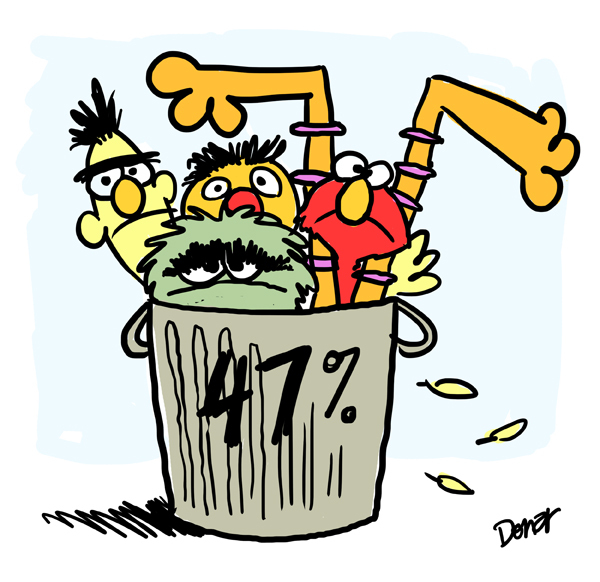 And the only thing "under-40 undecideds and those not plugged into politics" will remember from Wednesday night is that "Mitt Romney cares so little about the 47 percent, he even wants to take Sesame Street away from our children!" 8:00 a.m., Saturday -- More of the back story on Twitter's suspension, reinstatement and suspension of the @FiredBigBird account. As of 8:00 a.m.Saturday, the account is up and opoerational with more than 31,500 followers. Twitter has been extraordinarily glitchy on this. 6:00 p.m. -- Questions of censorship and foul play are swirling across the Twitterverse as @FiredBigBird’s account has been suspended and unsuspended numerous times in the past 24 hours. Read about it at Salon.com. 5:45 p.m. -- 170 Million Americans, the advocacy arm of the Association of Public Television Stations, sends and email blast to its members urging them to spread love for Big Bird via social media. "Federal funding for public broadcasting -- which amounts to only $1.35 per American, per year -- is worth every penny," they write. "If you love public broadcasting and Big Bird, 'like' the 170 Million Americans [Facebook] campaign." 5:30 p.m. -- Rebecca Dube of the Today Show asks, "are Big Bird Moms the new soccer moms?" If so, should Romney have risked alienating an important voting bloc? According to Reuters, working mothers favor the president by 42 percent to 34 percent for Romney. 5:00 p.m. -- Facebook claims that mentions of Big Bird have increased 800,000 percent on their social network. Also seeping into the mix is the figure that the taxpayer expense for the Corporation for Public Broadcasting amounts to a paultry .014 percent of the federal budget. 4:40 p.m. -- PBS and the Obama campaign get in on the Twitter action by sponsoring top tweets for searches on Big Bird and PBS. And "PBS" replaces "Big Bird" as a top-trending term on the social network. Meanwhile, another parody account, @BigBird, emerges and quickly grows to include more than 22,000 followers. 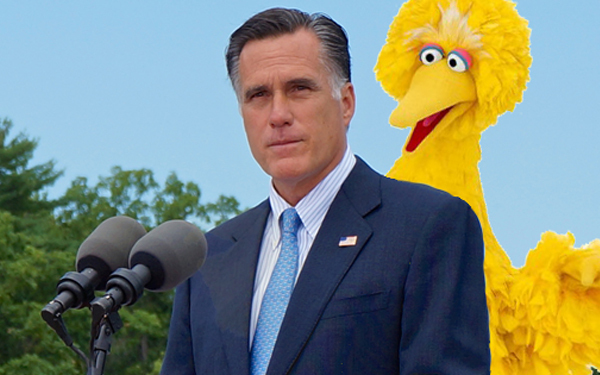 4:05 p.m. -- Suzi Parker of the Washington Post claims that Mitt Romney's Big Bird comments could end up haunting him through Election Day. Parker notes that millions of moms and Gen-Xers have a soft spot for the 8-foot bird, and that Romney's comments could trigger a backlash against the G.O.P. 4:00 p.m. -- The @FireBigBird account mentioned earlier appears to have been suspended by Twitter. Explanation to follow. 2:00 p.m. -- President Obama chimes in via Twitter mocking Romney for "getting tough on Big Bird." 8:00 a.m., Thursday -- Gov. Mitt Romney may not have seen this coming. But mention of his plan to fire Big Bird and cut funding to PBS set social media on fire Wednesday night, igniting a Big Bird meme that may eclipse any other issue discussed during the Denver debate. And while pundits on both left and right declared Romney the winner in the immediate aftermath of the debate. 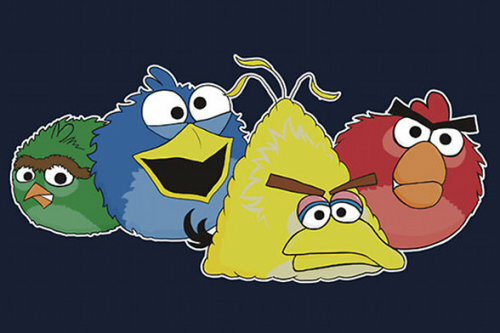 Time and social media are telling another story -- one in which Big Bird emerges victorious, giving President Obama an opportunity to ride his tail feathers to four more years. Twitter's government and politics team counted 17,000 tweets per minute [later accounts said it was actually 17,000 per second] mentioning "Big Bird" and an additional 10,000 mentioning PBS. As of 7:00 am EST, more than eight hours after the conclusion of the debate, "Big Bird" was the top-trending debate topic on the social network. Most of those tweeting rushed to the defense of Big Bird, including @FireBigBird, whose account -- set up moments after Romney made his comments -- now counts more than 24,000 followers. It didn't end there. More than 6,000 people on Facebook "liked" a page nominating Big Bird for president. And the Photoshopping has just begun. Below are some samples. Good ole Big Bird saves the day;) Nice job Tim! Not too smart of #Romney to have said this - LOVIN IT! !